Bharat Petroleum Corporation Limited (BPCL) is an Indian state-controlled oil and gas company headquartered in Mumbai, Maharashtra. The company operates the country’s two large and historical refineries located at Mumbai and Kochi, as well as Bina and Numaligarh refineries in a joint venture. BPCL has been ranked 280th in the Fortune Global 500 rankings of the world’s biggest corporations for the year 2015. The company employs more than 12,000 employees in various locations of the country. BPCL wanted to develop an app solution to host a new venture. The venture was centred on managing fleet operations that included freight exchange, vehicle maintenance, driver management, operations management, finance and insurance management on various products, as well as driver services management. 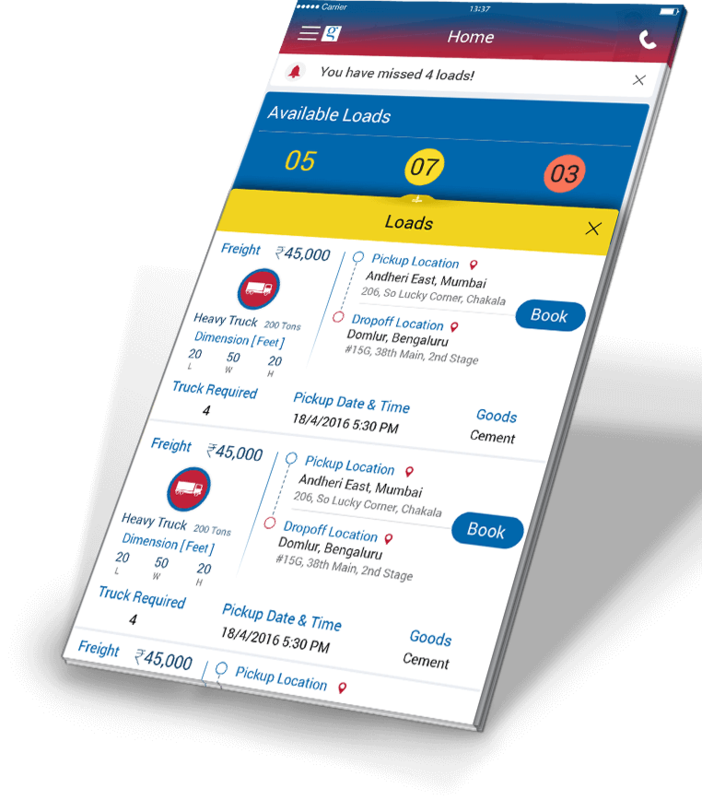 They expected the app to create a smooth and instant information flow between key players in the operation such as demand customer (shipper), supply customer (fleet owner), drivers, and BPCL team which included admin team and sales team. 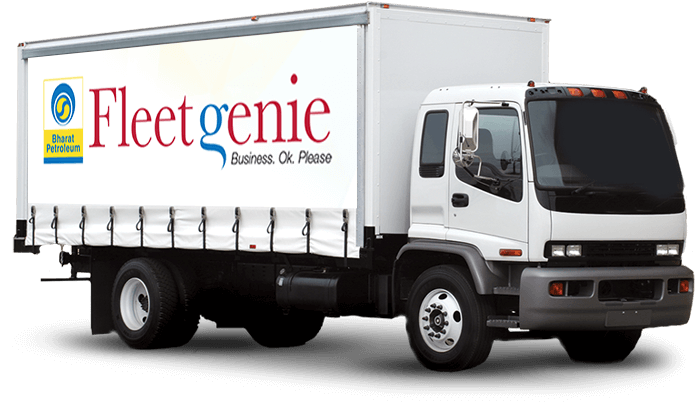 And this on-demand goods transfer service was intended to offer to end customers (shippers) who want to transfer goods like oil and gas, manufacturing materials, automobile parts and many other goods through on-demand fleet services offered by truck owners. App 1: Used by either shipper or fleet owner to place or accept the order of consignment respectively. 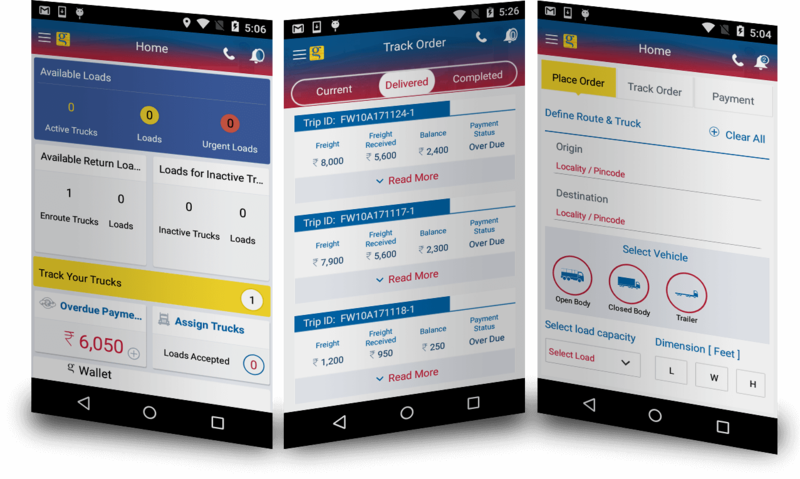 App 3: Used by BPCL team to manage shippers, fleet owners and fleet operations. 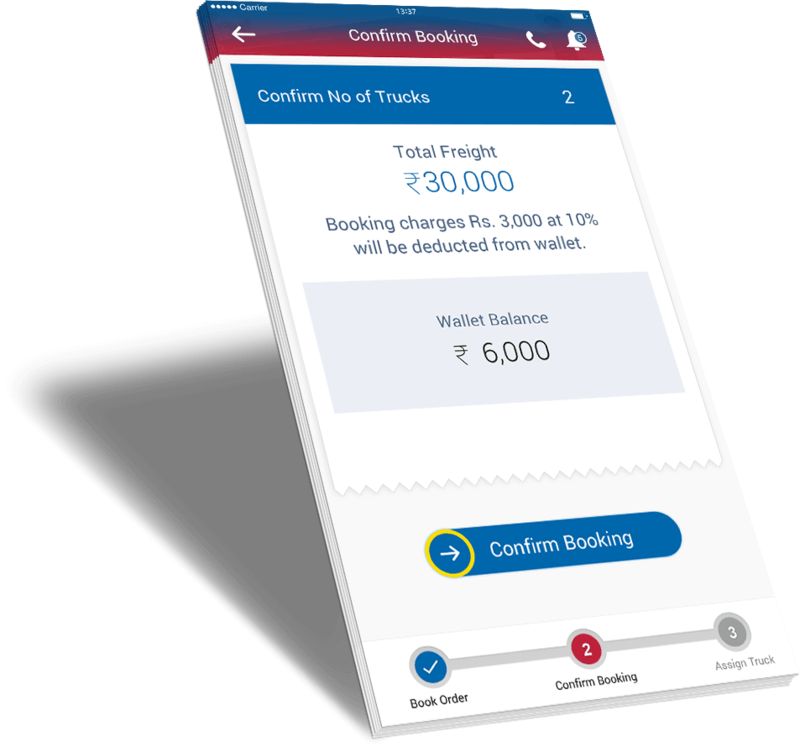 The development and integration of telematics system, e-wallet and eKYC feature was other prime requirement of the app. After a thorough research, BPCL chose FuGenX as their app development partner, as we had a prior experience of developing a successful fleet management app for America’s largest industrial gases company Praxair. Once refining their idea with our fine-tuned strategy building approach, our wireframe specialists sensibly defined the functional elements of the app. Once deciding the flow of every key feature and functionality, our UI/UX designers team crafted every screen in an intuitive manner. The development of e-wallet and telematics system was a key challenge during the development, but our expert development team handled it flawlessly. And even the app had to strictly follow the business logics that were intended to synchronize the actions of multiple users (shipper, fleet owner and drivers) that are done on different apps. But the experience we had in building the same kind of solution for Praxair helped us do it perfectly. Once the app was made error-free through multiple tests that included rigorous security test and usability test, the app was launched at the respective app stores. 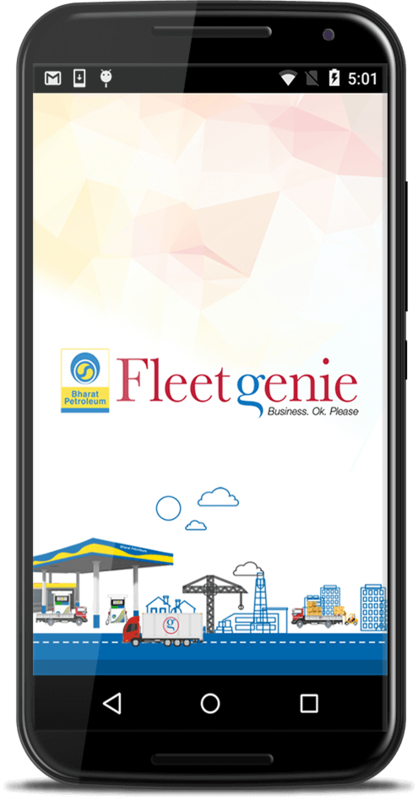 With the few days of launching the app, BPCL was able to make hundreds of shippers, fleet owners and drivers enrol to the service. FuGenX Technologies is a Deloitte award-winning global technology services company, pioneering high-quality products and ideas in the mobile space. FuGenX helps startups and enterprises successfully win the business competition with a wide array of technological services and solutions such as mobile app development, web app development, game development, DTH game development, IoT solutions, wearable solutions, smart TV app development, augmented reality app development and virtual reality game development. FuGenX offers revenue-generating mobile game development that can enhance business performance or empower individual game owners. FuGenX also helps enterprises enhance employee productivity and achieve agility in the work process, by building connected enterprise with result-oriented enterprise mobility solutions. For more information, please visit www.fugenx.com or reach us at info@fugenx.com. Connect with FuGenX on Twitter, Facebook, and LinkedIn.